This former Italian footballer and great coach is an influential person in the history of Italian football. Italy won the 1982 world cup under his enormous coaching. In his playing career he played for some of the famous clubs in Italian football league including Inter Milan. It is, however, true that he is best known for his coaching career and obviously 1982 world cup victory is the most successful event for his coaching career. Earlier in his coaching career he also coached the Under-23 Italian national team and in the 1974 world cup he was the assistant of the regular coach Ferruccio Valcareggi. Then in the next world cup in 1978 he led the national team as head coach where he could take his team up to the semi-final. The final success came in the next world cup winning the cup after a long 44 years. His greatness will be best understood if pre world cup situation is taken into account. There were a lot of controversy roaming around the Italian national team before the 1982 world cup and bearzot could come up with a fruitful strategy of press silence so that players can totally concentrate on football. It is worthless to say that how much successful the strategy was. Michels is the pioneer of the revolutionary idea of Total Football in the football history. The formation named “Total Football” made the Dutch national team as a football power from 1970’s. This benevolent and creative former coach of Netherlands national team also played for the national team earlier. In his club career he played of the Ajax Amsterdam where he scored 120 goals in his 257 appearances. He started his coaching career with his former club Ajax Amsterdam and he could help the club to win four national championships and three consecutive European cups. 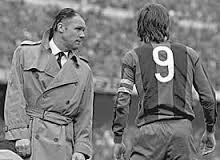 He led Barcelona FC to win the Primera Division in 1974. After that he took the responsibility of the national team. He used to say that football is a war and he obviously contributed much in the development of the football incorporating some modern idea in football. His philosophy of football relating to war made him popular with the nickname of “The General”. In total football, players of a team have no individual place which means when the team goes for attack all the players will go for attack and while the team tries to defend the opponent’s attack all the players become defender. He also introduced some effective way to take the advantage of off side trap. Menotti is one of the greatest football coaches in the history of football. He is best known for his success in the 1978 world cup winning the first world cup for Argentina. He also played for Argentine national team and in is club career he played for some famous clubs like Boca juniors, Santos etc. As a coach he first showed his talent through winning the Metropolitano in 1973 with Huracan. Then in the 1978 world cup his coaching and magic in team selection made the way easy to win the first world cup for Argentina. The most important thing was that the political situation of the pre world cup time was very critical and sometimes he had to face many problems due to the political reasons. And it was really a challenge to win a world cup in that situation where players were also influenced by those political problems and as Argentina was the host nation it was expected as the best opportunity to write their name in the list of world cup winner. Menotti could prove his ability and make the history. This benevolent figure in the Italian football is best famous for his two consecutive world cup win for Italy under his coaching in 1934 and 1938. His famous Metodo formation worked well and got much popularity in the football. In this system half backs get help from two inside forwards where the formation stands 2-3-2-3. He used this formation in the national team and two world cup victory easily proved the success of this formation. Using this formation makes the defense stronger and creates a huge chance to counter attack. He is the pioneer of the golden time of Hungarian football. He coached the “Magical Magyars” nicknamed Hungary national team in the 1952 world cup where Hungary lost to Germany in the final making one of the greatest upsets in the world cup football history. Hungary emerged in that world cup as a super power in the football world with some of the magical players like Puskas, Kocsis etc. Hungary won the 1952 Olympic Gold medal under his coaching. He followed the WW formation which was first proved successful in that world cup. This formation was the foundation of the popular 3-3-4 and 4-2-4 formation. Sir Ramsey was former footballer and coach for the England national team. He is well known for winning the world cup in 1966 for the first time and till last for England. In the following year he got the prestigious Knighthood of English royal family. In his playing career he was a very effective defender with a good sense of positioning, capability of reading the match well and most importantly he was a very good penalty taker which earned him the nickname of “The General of Penalties”. He used to include young and potential players. After taking the responsibility of English team he claimed to have the supreme authority over the team selection. His strategy of no wing worked well in the world cup. In this system there were no player in the two wing position rather they played as an attacking midfielders and this system could effective enough to deceive the defenders of the opponent teams as they concentrated on two wings while the English attacking midfielders attacked through the middle of the defense. Ramsey got much popularity for this formation. This former French football coach and player led France as a coach to win their first world cup in 1998 in their country. Though he played for the famous club Saint-Étienne where he won 5 league titles and 3 French Cups, he is best known for his achievement as a coach. He was assigned as a coach of national team in 1993. Earlier of his coaching career in the national team was much criticized in the media to be regarded as not the right person for the national team. However, he could prove his talent and skill as a coach. Zagallo is one of those persons who were successful in both of his playing and coaching career. He won world cup as a player, coach and also an assistant coach which is second to none. He played in the left forward position and this Brazilian could win the world cup twice consecutively in 1958 and 1962. In the 1970 world cup Brazil won the cup under his coaching. And in 1994 he was the assistant coach of Carlos Alberto Paheira where Brazil won their fourth world cup. This Brazilian coach is one of the most famous football coaches at the present time. Brazil could win their fifth world cup title under his coaching in 2002. After the world cup he joined to the Portugal national team. He also got successes with Portugal in the Euro 2004 where Portugal became runner up and in the 2006 world cup Portugal could obtain fourth position. “Big Phil” nicknamed this coach always has a fighting mentality which he can push into among the players. He gives much preference to the team spirit and he gives a lot of chances to the off form players which made the player free from pressure. One of his best quotes he said before the 2002 world cup and that is- being the runner up in the tournament means being the best among the looser. This benevolent coach and former Scottish footballer is regarded as a legendary coach in the English league. He is now the manager of famous English club Manchester United where he has experienced over 1000 matches. In addition, he is the most successful coach in the history of English football. In his playing career he was a defender and could score goals for his clubs regularly but he failed to attract the club to play regularly. After some critical situation he could prove his talent and once made a record transfer fee in between two Scottish clubs while going to Rangers form Dunfermline for £65,000. Later he started professional coaching for East Stirlingshire and after getting some success in this club he joined to the St. Mirren. He came to Manchester United in 1986 where he won 8 FA Premiership league and one European Champions’ league. The only manager in recent history to topple the Old Firm in Scotland with Aberdeen, Ferguson has built a dynasty at Manchester United since moving to the club in 1986. 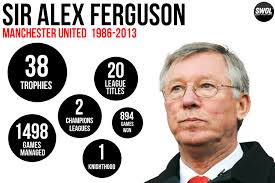 Fergie has won 11 English League titles and two Champions Leagues. His 1998 treble-winning side is regarded as one of the most exciting to grace English football. No manager wields more power over a club than Ferguson who dictates at virtually every level. The original ‘quick-fix’ coach. Chelsea wanted a first league title since 1955, and Mourinho delivered in his first season at the club. Inter Milan president craved Massimo Moratti craved a first European Cup of his tenure, and Mourinho delivered in his second season at the club. He even won the Champions League with unfancied Porto in 2003. It is not just his success in Europe and domestically that makes Mourinho what he is; the Portuguese tactician is the most charismatic coach in the world. He thrills gathered journalists with outlandish comments and his histrionics on the touchline make him great box office entertainment. It was Lippi’s emphasis on team spirit and unity that helped guide an unheralded Italy side to World Cup glory in 2006. With Italian football reeling from the Calciopoli corruption scandal, the Azzurri surprised the critics with a series of inspired displays. Also a serial winner domestically with Juventus where he won five Serie A titles, and the 1996 Champions League. Amazingly fired by Real Madrid a day after the club won their 29th league title and after winning two Champions Leagues in his time at the Bernabeu. It was a decision that devastated this humble man, so much so that he could not bring himself to sit on the balcony of his flat overlooking the club’s training ground. But Del Bosque would rise again, and the 2010 World Cup win with Spain guaranteed his place among the greats of the world game and proved that you do not have to possess an arrogant streak to make it to the top. England’s poor performance at the 2010 World Cup has led to many in the country questioning his ability. But the statistics confirm that Capello’s demanding approach to player discipline has reaped dividends in Italy and Spain where he has won a combined seven domestic league titles. His Milan side in the first half of the 1990s won four titles in five years and destroyed Johan Cruyff‘s Barcelona team in the 1994 Champions League final. One of the most celebrated managers in Serie A history, Il Trap won six titles with Juventus and one with Inter Milan. He has also won the title in Germany, Portugal and Austria with Bayern Munich, Benfica and Red Bull Salzburg respectively. One of the more cautious tactical coaches, Trap has also won three UEFA Cups and one Cup Winners Cup. By far the youngest coach on this list, but deserves to be recognized for the way he has implemented his ideals to devastating effect since taking over at Barcelona in 2008. The treble-winning 2008/09 season and the feat of winning six trophies in 2009 may never be equaled, and “Pep” deserves his place alongside the greats for this alone. He has ensured that the nucleus of his starting XI is Catalan, with many of his players having graduated from the club’s famous La Masia academy. ‘King Otto’ Hitzfeld has won the Champions League twice and the German Bundesliga seven times, with Bayern Munich and Borussia Dortmund. He was also responsible for one of the biggest shocks at the 2010 World Cup when his Switzerland side defeated eventual winners Spain in the opening match. Like Ferguson at Manchester United, Wenger is involved in the decision making process at almost every level. He has won three Premier League titles since moving to Arsenal from Japan in 1996 and is world renowned for his unique ability to sign players at bargain prices, get the best out of them, and sell them on for inflated fees once they are past their best. Wenger is also one of the chief exponents of the beautiful game, his Arsenal side playing some of the most thrilling football on the planet. The Dutchman may have the capacity to start a fight in an empty house, but his positive tactics and commitment to bringing through youngsters makes him one of the best coaches in the game. He has won a combined seven titles, including one with little AZ Alkmaar in 2009. Not lacking in self belief, van Gaal can be a prickly character who will bend for no one. A 1995 Champions League winner with Ajax, Van Gaal is now with Bayern Munich and took his club to the final in the 2009-10 campaign. be a great author.I wilol remember to bookmark yojr blog and will eventually come back at some point. genuinely understands what they arre discussing on the net. of your story. I was surprised that you are not more popular given that you certainly have the gift. Great weblog right here! Adsitionally your site lots up fast! It’s awesome to visit this web site and readinjg the views of all mates concerning this paragraph, while I am also keen of getting experience. Admiring the commigment you put into your website and detailed information you provide. I’ve savesd your site and I’m adding your RSS feeds to my Google account. An impressive share! I have just forwarded this onto a coworker who had been doing a little homework on this. And he in fact ordered me lunch due to the fact that I discovered it for him… lol. So allow me to reword this…. Thanks for the meal!! But yeah, thanks for spending time to discuss this subject here on your web page.